This allows use without wasting energy due to the rapid heating and cool-down, and the sleep mode, to extend the life time of the tube for efficient and long-term use. The Copper Bromide laser can be changed to 6 different spot sizes to fit the size of the lesion for efficient treatment. Changing the spot size of the hand piece is automatically recognized for increased convenience. Spot size of Copper Bromide. 0.6mm, 1.0mm, 2.0mm, 3.0mm, 4.0mm, 5.0mm. Copper Bromide Laser, as the monument of our intensive research activities for development for last three years with our long accumulated knowhow, has excellent safety and treatment capability. 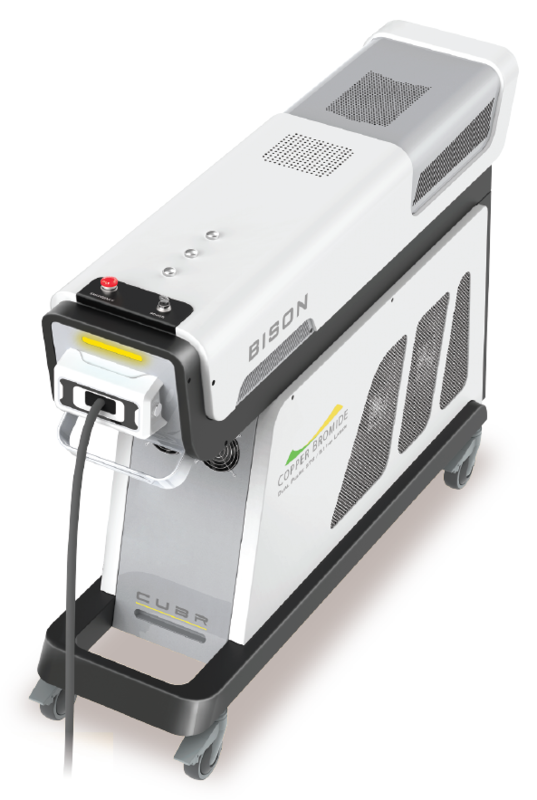 Copper Bromide Laser is the very first dual yellow laser of medical device to which highest level of GUI(Graphic User Interface) is implemented through the long accumulated knowhow of our company and user testing. In addition, based on the user feedback, the newest and best condition is kept all the time. 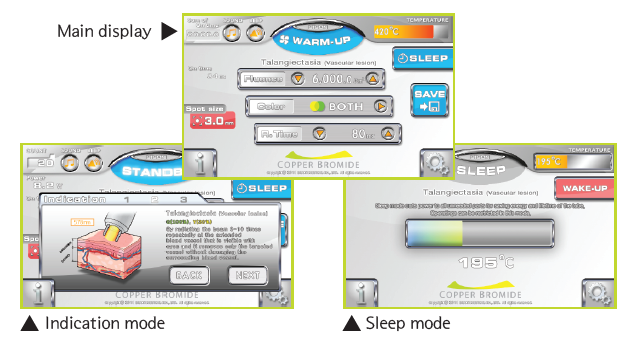 Interface Design of Copper Bromide. 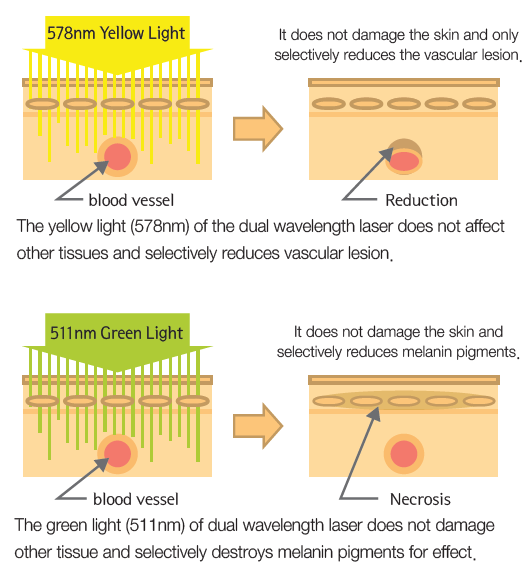 Dual wavelength laser is the most effective laser for treating melanin pigments and vascular lesion, and is effective for treating both of pigment lesion and vascular lesion.